On 13.09.2016 the Cyprus Council of Ministers approved the amendments to the Scheme for Naturalisation of Investors in Cyprus by Exception. 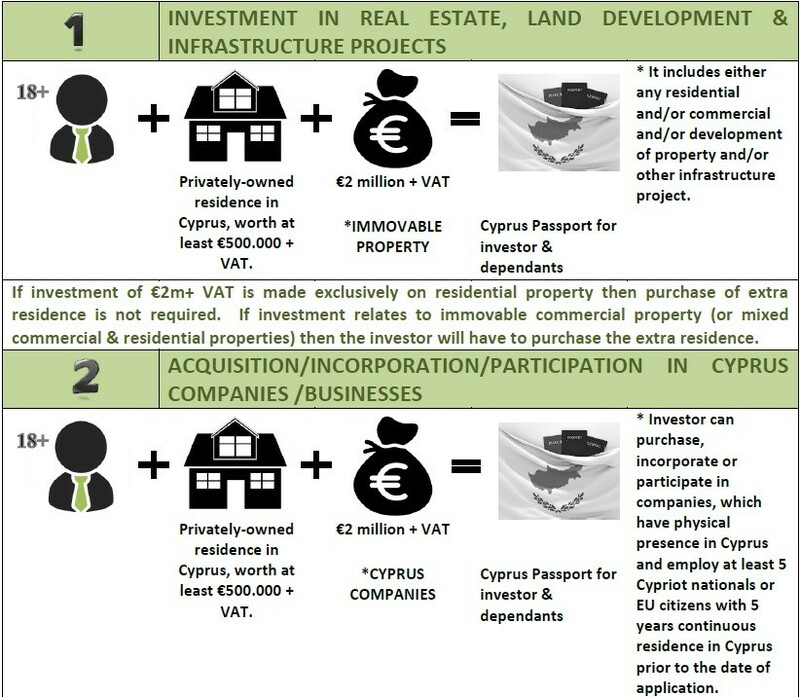 The said Scheme is based on subsection (2) in section 111A of the Civil Registry Laws of 2002-2015 and the aim of the Cyprus government is to attract foreign investment to Cyprus by high net worth individuals (the only Fast Track EU Citizenship program). The updated procedure and criteria are even more favourable than before with the minimum necessary amount of investment having been reduced from €2.5m to €2m. Under the new procedure the investors are given several options as to how they can invest in Cyprus, providing greater flexibility. A foreigner, who fulfils one of the following economic criteria, either personally or through a company/ies, in which he participates as a shareholder or even as a high-ranked senior manager of a company/ies, may apply for the acquisition of Cypriot citizenship. The applicant must have concluded the investment during the 3 years preceding the submission date of the application and must retain this for a period of at least 3 years from the date of the naturalization. Level of investment reduced to a total of €2m – €2.5m, as opposed to €2.5m – €3m under the previous criteria. Applications will be submitted on a stand-alone base. Introduction of combination of all economic criteria. Parents of the investor can now obtain the Cyprus Citizenship with an additional permanent residence of €500.000. Abolishment of the criterion of bank deposits. 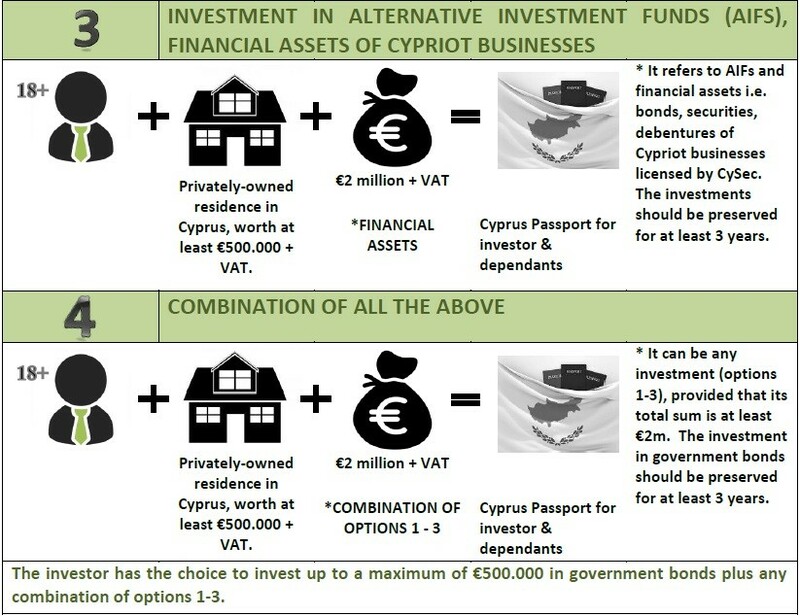 Cap set on the investment in Cyprus Government bonds. A Permanent Residence Permit will be issued prior to naturalisation (unless the applicant is a Temporary Permit holder already). The applicant must have a clean criminal record and his name must not be included in the list of persons whose assets, within the boundaries of the EU, have been frozen as the result of sanctions. Residence in Cyprus- the applicant must possess a permanent privately-owned residence in the Republic of Cyprus, the purchase price of which must be at least €500.000, plus V.A.T. In case that the purchase price of the residence in Cyprus exceeds the amount of €500,000, part of this additional amount can be used for purposes of supplementing the total amount of the investment made on the basis of the criteria above. All of the above also apply for the adult members of the family of the investor, who will apply for naturalization. VISA-free travel to 157 countries worldwide, including all the European Union countries, Canada and Australia amongst others. 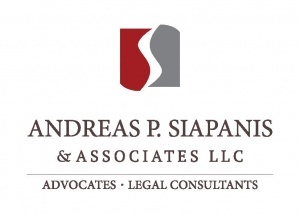 N. Pirilides & Associates’ professional and friendly hands shall materialise the entire process. Our Firm promises to handle each case responsibly and with confidentiality and aims to provide a professional personalised service with step-by-step instructions and guidance which will lead each application to success. Our specialised legal team is in a position to answer all of your questions regarding the legal procedure, your rights and the best tailor-made option for you. Great awesome things here. I¡¦m very glad to see your post. Thank you so much and i am having a look ahead to touch you. Will you please drop me a mail?